← Gen 3:15 The Seed of the Woman! The Seed of the Serpent! (Ver 1.3) This is Part 1 in the Bible Study series revealing the identity of the spiritual woman called the Bride of Christ. I have actually heard several preachers stand up behind the pulpit and say “There is nothing in the Bible that says the church is the Bride of Christ”. However, after I studied this subject I could not disagree more. It is funny how one preacher will say something totally opposite to what another will teach. All it does is prove that someone is wrong and possibly that both are wrong and only God is right. It creates confusion, division and an atmosphere for deception. Satan is all too ready to pounce on error and use it to cause a split or an offense against other Christians in the church. I am going to start a new series today of lessons on why the Church is the Bride of Christ. I will give you scriptural evidence and a bunch of it so that it is clearly understood. This will probably be the most in depth and comprehensive Bible lesson that you have ever read on the subject of the Bride of Christ and it will probably take a long time and a lot of lessons to complete. I want to start this lesson by confirming one thing, the term “Bride of Christ” is not found in the Bible anywhere. That might shock some people to learn that truth. But, neither are the terms abortion, homosexuality, rapture, demons or the trinity found in the Bible either. Does that mean none of these exist either? Do you think that God cares nothing about any of these subjects to discuss them directly? Many times basic theological principles are not directly named or labeled with a clear title that can be found in the Bible. Many times these theological terms come as a result of man naming them with titles that have stuck. All this does is to make it easier to talk about them, teach them and for others to understand them. So instead of looking for the term “Bride of Christ” in the Bible and saying it doesn’t exist and therefore the church is not the bride, be smart enough to learn the lesson of how God wrote the Bible and do a search for other information that is given to us. The Bible contains an almost infinite number of mysteries, puzzles, riddles and hidden information. God used this technique for two primary reasons. First to hide this information from His enemies who were led by Satan and then second to conceal the truth for us (the Church) to find at the right time. If you can understand this it will help you a whole bunch in trying to figure out what the Bible really means. The “Bride of Christ” is of course a very deep subject with a lot of complex interwoven truths and it will be extremely challenging for me to get it across concisely in a blog format. I guess I’ll do the best that I can and hope that you can understand it. I think I will start this introduction to this subject by giving you the two main reasons why some preachers think that the church is not the Bride. In this way I will be upfront with you and you can see this popular illogical reasoning as being an error. I will not name any names so if you want to listen to any of these teachers who teach this error you are on your own in finding them. The first reason that I have heard of directly, that predominately comes up to why the church is not the bride, is because they say the church is the Body of Christ. You of course know, if you have ever studied the New Testament there are an overwhelming number of scriptures that confirm this basic truth. Yes I believe them and I will also say that I firmly believe that the Church is the Body of Christ. Their illogical thinking has stated that if we are the Body of Christ and if Christ has a Bride, then we also have a Bride. That logic would make us the bridegroom with Christ. Their illogical thinking places us on equal ground with Jesus Christ and they make us equivalent to God in every aspect and feature. That logic should set off all kind of red flags in your mind, if you are smart at all. We are not God and we never will be God. What they have done is a classic error of Bible Interpretation that many have fallen into without knowing it. They have taken “A” truth and exalted it and have made it “The” truth. Do you understand what I just said? You see there are many truths in the Bible and if you take just one of them and exclude the rest of them you are now in error. That might be the most important thing that you learn today from this blog so don’t throw it away. Now for the second reason why preachers think the church is not the bride of Christ. They turn to the last chapters in Revelation and read about a city coming out of heaven from God. This city is called the “New Jerusalem” and she is referred to as a woman. She is also called specifically the “Lamb’s Wife”. In their illogical reasoning they have determined that since we are the “Body of Christ”, this is our wife also. In other words God came to the earth in the flesh, suffered and died on a cross, went to hell and arose back to heaven all so that he could marry a city with buildings and houses that we can all live in happily ever after. What a fairy tale? That logic is crazy to me and I don’t know how they even came up with that kind of teaching? I guess I have seen worse, but nonetheless I hope you can at least question their thought process and logic. You see based upon their logic and the verses in Revelation, if this city New Jerusalem is the bride of the church then we are the Lamb. However, I have never seen any verses of scripture that says the church is the “Lamb of God”, have you? I know I didn’t give you every scripture reference and I didn’t give you every reason they teach, but I really do not want to dilute the truth by telling more lies. I’m sorry if I come across very blunt sometimes, I do not do it to offend anyone, it is just an attempt to wake some sleeping giants up to the truth. Learn the lesson of the Secret Service. You know they do not spend a lot of time studying how to make counterfeit money. Instead they concentrate on studying the real money, its features, characteristics and qualities. If you become intimately familiar with the real you can automatically recognize the counterfeit. That principle works with the Bible in the same way. The more you study the truth, the false teaching becomes laughable and easily recognizable. What you have to do is to make sure that what you believe is firmly based upon 2 or 3 witnesses of scripture found in the Bible. If you do this, then you are on good ground to recognize the false teaching of the enemy. As you can clearly see, Jesus is describing a spiritual reality using a descriptive story found in the form of a parable. This marriage being described to us is what we will begin to study in this series of lessons. Jesus is telling us of the “Kingdom of Heaven” so He must be speaking about spiritual truths using natural descriptive terms that we are all familiar with. In this parable a certain King has arranged a marriage for His son. So if you are the least bit intelligent you know that the King is representative of God the Father. The Son in this parable is clearly Jesus Christ. The marriage is to a bride. 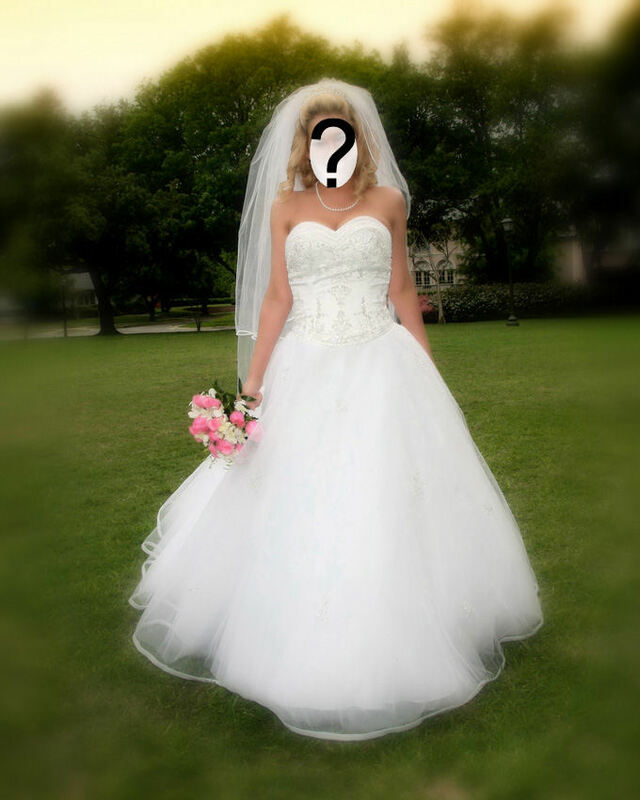 The bride can be referred to as a future “daughter-in-law” or the “sons” wife. So now we need to determine what is a spiritual woman, who is this spiritual woman and what is a spiritual marriage in the eyes of God. Before we can accurately understand the identity of the bride of Christ we really need to step back and come to understand some spiritual basic concepts; like what does the Bible say a spiritual woman is and how does a woman relate to a spiritual family unit. Obviously if we are talking about women and brides we are also talking about a marriage. How is a marriage related to this subject in the eyes of God. We also need to figure out scripturally who the bridegroom is. What is a Blood Covenant? I believe that Biblical blood covenants are also a key subject to study and understand in order to build a basic knowledge of the subject of the identity of the bride of Christ. I cannot fully expound in this blog on all of the Bible basics that you should be aware of in order to fully understand this subject. I will just warn you upfront that this is not an introductory lesson on the subject and it assumes that you already have some firm foundational understanding of the Bible and the subjects that I just mentioned. Most advanced studies of any subject must assume some basic knowledge of the subject, so mine is no different. When you go to college and take Calculus, they don’t start the class with 1 + 1 = 2, you should have already learned that in elementary school. So it is in this blog, this is a college level Bible course and I won’t spend a lot of time on any elementary school basics. The bottom line is that if I say something that you don’t agree with, I would hope that before you reject it or write it off, that you do some basic study to see how I arrived at that statement since I will not always attempt to teach you everything that I know in one blog series. I just don’t have the time or enough space to cover everything. So back to one of my key first points, taking a truth and trying to make it the truth, is a critical mistake because you close your mind and your spirit to any new knowledge that God wants to teach you on the subject. You see here is God’s challenge to us, there is more than one truth in the Bible. The truth in the Bible is much like a finely woven fabric or tapestry. It consists of many different threads that fit together closely and that are overlapped with other threads that all reveal God to us. In fact the Bible is so complex that it is difficult for us to fully comprehend everything that the Bible says. Saying the church is only the body of Christ and that’s it, simply closes your mind to anything else that the Lord wants to teach you about the subject. You see, in the Bible God describes the church using many, many different names, titles and descriptions with each revealing several different new characteristics, qualities and features. We are described as “kings” and “priests” (Rev 1:6). In 2 Corinthians 5:12 the church is called “ambassadors” for Christ. In other places in the Bible we are described as “saints” (Romans 1:7). The church is described as an “army” with armour and weapons (Eph 6:13). We are described as “children” and even “sons” of God in the New Testament. We are called “joint heirs” with Christ in Romans 8:17. In Romans 2:29 the church is called the spiritual “Jews”. In other places in the New Testament like 1 Corinthians 3:16 the church is called the “temple of God”. I could go on and on with other scripture references, but I think you are getting the point. You can’t take any one of those truths alone and attempt to make it and it alone the entire truth of God’s word. If you do this you are in BIG trouble with trying to understand the Bible. I would ask those who teach that the church is only the body of Christ a good question, how can we be “joint heirs” with Christ if we are “Christ”. Uh oh? I think that’s a problem maybe you haven’t thought about before. A “joint heir” clearly implies a different heir and not the exact same one. So how can the church be joint heirs at the same time they are the Body of Christ? I tell you it is a very significant puzzle and a mystery and we will get into and solve. Hopefully you are learning a few things from this short introduction, I have designed this series to introduce you to things in a specific order and sequence to hopefully help you to fully understand it. If you desire to now more of the Names, Titles, Descriptions and Symols for the Church you can go to that lesson and research them in your Bible. I guess I will stop right here and address another issue that I heard one minister say. According to him he was struggling in thinking of himself as a spiritual woman or the bride of Christ, because he was a man and a normal natural man has a problem with identifying themselves as a spiritual female. I can understand that thought process, because I am a man also. There are so many natural people in the world that are so confused with their sexual identity, am I a man or am I a woman. Am I a man in a woman’s body or vice versa. It seems this identity crisis has crept into the church. Is the church a man or is it a woman in the eyes of God? That is certainly the great debate that seems to be raging. You can so easily see why Satan wants to keep the church in confusion so that they don’t understand who they are and why they are here. If the church doesn’t understand the truth then he is able to steal it away from their hearts and they will never be able to know it according to what Jesus taught us. As you read the rest of this blog series you will soon discover why Satan wants to convince the Body of Christ that they are not the bride. If he can convince them they are not the bride then they will not be able to fulfill the Biblical prophecy spoken by the words of God himself. So normal men don’t like being thought of as a spiritual female. However, what I like or don’t like and what you like or don’t like doesn’t really mean anything. That also goes for how you and I feel about being called a woman. I’ve heard that it brings out an image of a woman with combat boots on and wearing a wedding gown. This one minister just couldn’t identify with such a thought being a male. What an incredibly arrogant philosophy that is. You are assuming that a woman wouldn’t have a problem if she is called a spiritual male (the body of Christ), but a male would have a problem if he was called a spiritual female (the bride). That is about as natural thinking or carnally minded as you can possibly get and still attempt to call yourself a Christian. What a male chauvinist attitude. Did you know that the Bible says in Galatians 3:28 that there is neither “male” nor “female” in Christ? If you are in Christ and you are worried about being a male or a female you are thinking carnally and naturally. If you are a male and have a problem identifying yourself as a spiritual woman and I did say spiritual then you need to repent and figure out what God thinks about it and not worry about your appearance or feelings on the subject. What we should ask ourselves, is there precedence in the Bible for the Church to be the bride of Christ? Ok, that was a legal term and what I really meant to say was there a valid pattern, a type and shadow given to us in the Old Testament that would mirror and confirm to us this New Testament truth? In Legal terms, precedence is when a judge gives a ruling, he is obligated to explain why he ruled that way. Many times a judge will give established case histories where similar rulings were given and then explain why he ruled the way that he did. Why does the Judge feel obligated to include similar case rulings in his decision process? That is an interesting concept if you think about it. When a judge provides supporting evidences for his decision, he is saying this is not just my lone opinion. Precedence can also mean the order of priority or sequence of importance. This is exactly how the Bible is written if you didn’t realize it. God is the ultimate Supreme Judge and Jesus is our Lawyer or Advocate. God does everything in an orderly legal fashion. He explains His rulings giving us His precedence on the subject in His Word. The Old Testament parallels the New Testament, as well as the Old Testament precedes the New. The Old Testament helps us explain the New Testament and vice versa. The Old Testament gives us natural pictures of actual living people that point us to spiritual truths. There are many natural examples in the Old Testament that point us to spiritual New Testament truths. In fact there is an Old Testament scripture that says “The thing that has been, that is the thing that shall be” (Ecc 1:9) and God said there is nothing new under the sun. In this lesson series we will definitely explore some new foundational truths from both the Old and the New Testaments that confirm the true identity of the church, so get ready to learn. If you would like to continue reading this series of lessons, you can continue with “Part 2“. Posted on January 25, 2010, in The Church and tagged Bible, Bride, Christianity, Church, Covenants, God, Jesus, marriage, Religion, Truth, understanding, woman. Bookmark the permalink. 1 Comment.